After seven years in New England, I relocated to southeast Michigan in December 2014. Despite having been born and raised in Detroit (proud graduate of Cass Tech High School! ), Michigan hasn’t been home for more years than I am willing to admit to. Relocating in winter while also working 100% from home is not conducive to exploration – my first several months’ experiences were limited to weekly grocery store runs, babysitting for my sister, and an occasional weekend movie with cousins. So with a few days vacation in late May I decided it was time to learn my new home state of Michigan the way I learned my last – one winery at a time. With a full tank of gas and a randomly chosen winery on Michigan’s Pioneer Wine Trail, I headed out for what turned out to be an auspicious start to my latest Win(e)ding Roads adventures. 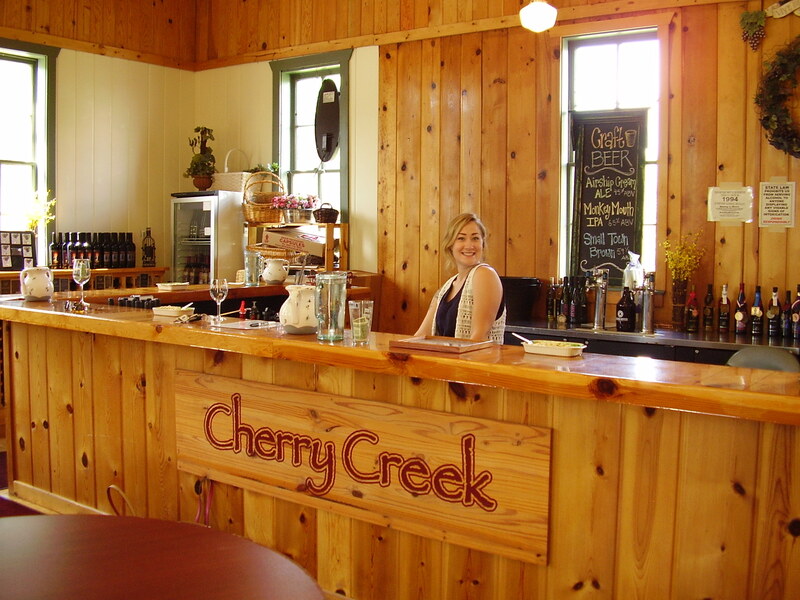 Housed in a beautifully restored 1870s schoolhouse in the heart of the Irish Hills, only a few short miles from the Michigan International Speedway, Cherry Creek Winery and Vineyards is a great find – neither the winery nor the wines disappoint. 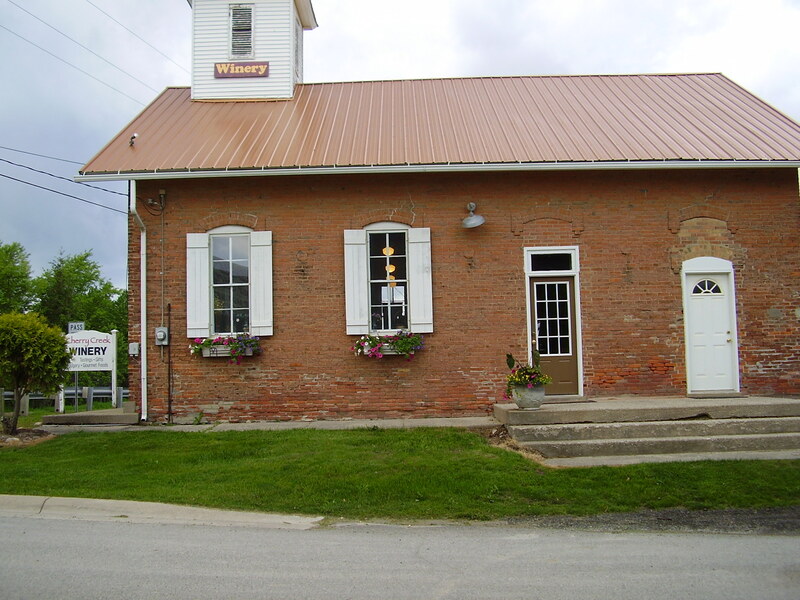 Founded more than 15 years ago by Denise and John Burtkas, Cherry Creek Winery has two locations, the original in Albion, MI and the Old Schoolhouse, which opened about 10 years ago. 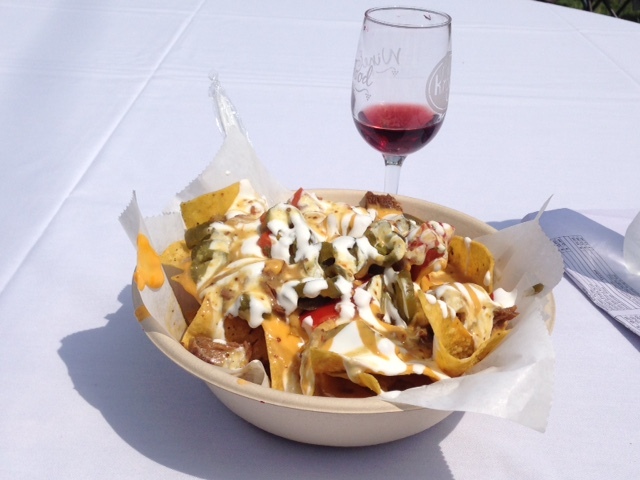 All wines are 100% Michigan grapes sourced from the Burtkas’s vineyards in southeast Michigan and through partnerships with vineyards along the Lake Michigan coastline. I’ve found myself more interested in Rieslings recently, particularly as I’m finding more local wineries making a dry Riesling, instead of the often too sweet versions that seemed to be everywhere only a few short years ago. The Wood Duck White is a really nice wine. Light, crisp, with just a hint of grapefruit on the finish, I found it soft in the mouth and very drinkable. The fruit and acid are nicely balanced, and the wine has a nice full body which gives it structure. A great wine for a lazy summer afternoon. It was one of the bottles I brought home with me, and we uncorked it last night pairing it with grilled Lake Superior whitefish and fresh Michigan corn. The wine complimented the fish beautifully, and the corn’s sweetness brought out some of the wine’s lightly floral notes. I loved the nose on this wine – notes of citrus, honeysuckle (perhaps? I am not as good differentiating florals as I should be), the nose evoked light spring breezes. In the mouth, the wine was sharp, but not tart, with citrus notes that hit the edges of my tongue. The wine also evolved in the mouth, starting out smooth and somewhat quiet in the front of the mouth only to open up on the finish. Tasting Room bar was made from reclaimed wood from the original structure. Jenna, my host for the afternoon, is an enthusiastic ambassador for the winery. Moving on to the Reds, I started with the Merlot, which came highly recommended by my tasting room host, Jenna, as one of her personal favorites. The nose was fruity, predominately cherry, very reminiscent of the red wines I found in Connecticut (in fact, I once participated in a blind tasting of Merlots at McLaughlin Vineyards in Connecticut and was the only person to correctly identify the McLaughlin Merlot, which I did solely from the nose). In the mouth, the wine is more subtle than I expected – I think the nose misled me, and I expected a more fruit-forward wine such as the ones I had been drinking in Connecticut. I found this wine to be more herbaceous than fruity, medium-bodied with mineral notes and an interesting slight chalky finish. A blend of Cabernet Sauvignon and Chancellor Noir, this was my favorite of the afternoon. Deeper nose than the Merlot but with similar notes of cherry, the wine is smooth and rich. In the mouth, the wine has notes of stone fruits but not so strong that the wine becomes “jammy.” Brought a bottle of this home as well, and am looking forward to opening it later this summer, perhaps paired with grilled steaks or lamb chops. 100% estate grown at the Old Schoolhouse location, the Frontenac was the most interesting wine of my visit. Served chilled, the wine had strong notes of cranberry – which I admit, I don’t come across often. Fruit forward with a strong but smooth finish. The wine wasn’t available for sale the day I was there, but it’s definitely worth a return visit later in the year for another taste. In addition to the wines, Cherry Creek also has a small gift shop featuring locally made sauces, jams and jellies and a Michigan cherry salsa which is highly addictive! The winery hosts local musicians from 5-8pm Saturdays through mid-September and will be opening a cafe sometime this summer. The Burtkas have also recently launched the Grand River Brewery, in Jackson, Michigan featuring local craft beers, handcrafted spirits, and Cherry Creek wines. My solution? Well the first option is to comb my local wine shops (which may in fact be local grocery stores). Grocery stores? Well, being a foodie type, it makes for easier menu planning. I have found myself doing this on the road as well. In part, because I eat better on the road when I am picking fruit and veg instead of eating fast food, but also because in many states, grocery stores have wine (Yes, I know you don’t New York State – get over yourselves on that matter). I have picked up great wines in Virginia, Indiana Illinois and Nebraska at grocers or their closely associated liquor stores. Some standouts? Bloom, a small chain that I found while visiting my 104 year old grandmother and other relatives in Virginia Beach. They have a nice wine section that has got one of the nicest selections of local wines that I have ever seen. My nationwide? Whole Foods is a great choice. With its dedication to fresh and local ingredients, it makes sense that they would feature local wine. Given their national reach? Local wines extend to regional options extending my non-travelling reach. Lately, I have found Firelands Gewurztraminer from Isle St. George, near Sandusky, OH and from Illinois, Prairie State Winery, Lynfred and Glunz Family all in my local WF. Surprisingly, in Chicago, I have found that smaller, ethnic groceries are full of local options as well. Maybe this is because they are being supplied by alternative distributors. I am not going to argue the point so long as I can find new and original options. In my neighborhood, I am recommending Foremost liquors which vary from neighborhood to neighborhood as to their options. I have also found increasing local options at my neighborhood Jewel where the wines of Indiana’s Oliver Winery and Michigan’s Tabor Hill have found themselves on the shelves. These are very pleasant surprise for a local wine lover. My new way to get local wine? If I can’t get to the wine? I am having it brought to me. While not all smaller wineries can and do ship, we should take advantage of those that do. How to chose? I am using results for wine competitions. An imperfect system to be sure, but one that is making it easier for a lover of local wine to extend their selections. What are your favorite regional American wines? Let us know and maybe I will be checking them out soon! Continuing my Michigan winery planning I move on to Lake Michigan Shore. Why? Well it contains the Fennville AVA and is the appellation listed on the bottles for the only winery in the Fennville AVA. And frankly, it is the Michigan appellation that is closest to home for me as it takes about 90 minutes (not counting traffic snarls) to enter into Michigan. Why is this area significant? Well, unlike most northern wine regions, Michigan Shores produces a good number of vitis vinifera grapes, including Cabernet Franc, Cabernet Sauvignon, Chardonnay, Gewurztraminer, Lemberger, Malbec, Marsanne, Merlot, Petit Verdot, Pinot Gris, Pinot Noir, Riesling, Roussanne, Syrah, and Viognier. The reason? Something we Midwesterners* call “Lake Effect”. The water in the Great Lakes (essentially small fresh water inland seas) moderate the temperatures and the precipitation on lands west of each lake. Temperatures never become as frigid as they would on the east coast of a lake as they do on the west coast. Anyone who has lived in Chicago and Buffalo or Detroit can tell you how they differ (and this blog has a couple of gals who have experienced the difference. Chicago is much colder). This gives the grapes a longer growing season than is experienced in say, Iowa and a couple of weeks makes a big difference. The soils are a relatively uniform throughout the region, consisting of glacial moraines. In addition to being relative close to home, there are a good number of wineries in the AVA. How many? Well that depends on who you ask and what you count. Why who you ask? 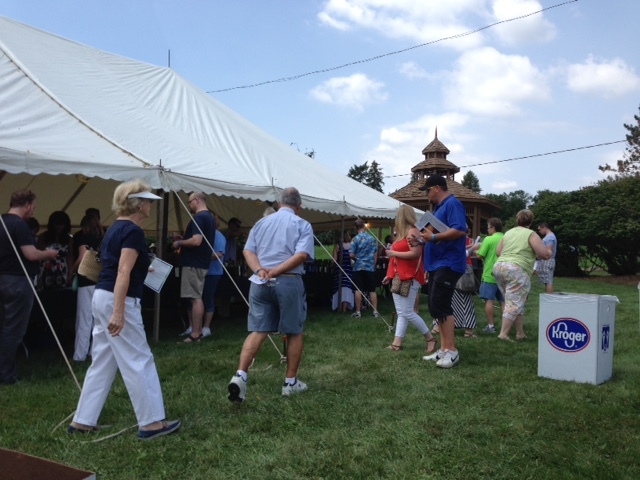 Well, the folks at the Lake Michigan Shore Wine Trail list count twelve wineries as members. Me? I count about seventeen. More is better right? Well, that leads to the what you count part, as several of the wineries have multiple tasting rooms. Tasting rooms are great in a pinch, but frankly I prefer going to the winery directly, at least if it is possible. Given the number of beachfront cottages, condos and other casual getaway places in the area, I would have been surprised if there weren’t tasting rooms trying to take advantage of the numbers of summer people. As I get ready to start exploring Michigan (still trying to get Marguerite to come with me for some of these…. ), I ran into the problem of trying to figure out which to do first. After giving it some thought, I decided to go in order of their creation. Which means that Fennville. This viticulture area was designated October 19, 1981 and contains 75,000 acreas of coastal Lake Michigan between the Kalamazoo and Black Rivers. The soils are sandy and glacial and temperatures are moderated by the deep waters of Lake Michigan. The vineyards in the area are capable of producing both Vitis vinifera and Vitis labrusca grapes. Oh, and did I mention that this wines from this area is a great locapour option for those of you living around the Great Lakes? It is true. The problem that I am having with this AVA is determining is whether there are any wineries producing wine with the Fennville Appellation AVA. Per an article in 2007 at Appellation America indicated that only one winery existed in the viticulture area, Fenn Valley Vineyards. However, when I checked the website for Fenn Valley, I found that the wine pictured at their site was labelled under the Lake Michigan Shore appellation in which Fennville is completely contained. So, am I confused? yes. I will let you know if I have answers soon. In the meantime, I have prepared the map for the possibly useless AVA. I’ve been a bad, bad girl. Yes, I played blog hookie today. Ok, technically not since I am catching up tonight… still. You get the point. I went kayaking today, having just taken possession of my new kayak late last week. Today I used it and got something that doubted was possible. Tuesday as it turns out, is a much better day for trying to find an open winery. At least it is in Ohio. Tuesday morning, bright and early I pulled into the Firelands Winery parking (please note if using GPS to find this location, there is construction in the area and you will be rerouted). I was excited to visit this winery as I had actually tasted the wine from here before. Back in 2007, when VinoVerve was young, Rory, Kevin and I had dinner at Salpicon in Chicago and drank wine and chatted with Henry Bishop. During that dinner, while eating great Mexican food, we drank wine from all over the world. This included wine from Missouri, Quebec and Ohio. This is one of the reasons that I have become so passionate about local wine. The Ohio wine was the 2005 Firelands Winery Gewurztraminer, Isle St. George, Sandusky, Ohio. I have to admit that I was curious about the locations listed for the wine. Isle Saint George is on an island (duh) in Lake Erie but is the name of a community, not the name of the island, itself. It is located on North Bass Island and is part of the Put-in-Bay Township in Ottawa County, Ohio. The township consists of 7 of the 31 Lake Erie Islands (some of which are now just reefs) that are shared between the States of Michigan and Ohio and the Province of Ontario. Several of the Lake Erie Islands, including North Bass Island are known for producing wine grapes. In many cases these wineries declined after prohibition but have resurfaced since the 1980s. In the case of Isle Saint George, the community was designated an AVA in 1982. By law, the AVA must be listed “St.” instead of “Saint” George (government often confuses me to the point of creating a headache). The weather in the area is milder than the surrounding mainlands as the waters of Lake Erie are the warmest of all the Great Lakes. As a result, vitis vinifera grape varietals are able to thrive. The island is famous for producing Cabernet Sauvignon, Chardonnay, Gewürztraminer, Pinot Gris, Pinot Noir and Riesling far more north than usual. However, the Firelands Winery wines also list Sandusky, Ohio (home to Cedar Point) on their labels. This is because the grapes are grown in Isle St. George but are produced at the winery in Sandusky. Confused yet? Wait until you hear about the rest of the history of the winery. I will give you a hint: It has something to do with Marguerite’s VinoVerve posts! The first person to most fully explain the connection (correctly, obviously) will win a Locapour T-shirt. Entries must be received before Thursday, October 22th at midnight CDT (yes, we are on Daylight Time). That is the only conclusion that I can come to. An extremely bad week for wine. Particularly if the wine isn’t nearby. Maryland’s efforts to reform their wine laws has failed for this year when HB 1262 died in committee. They are gearing up for next year’s fight already and if you want to help you can contact Adam Borden here. and as finally, as Kevin pointed out yesterday, Michigan’s new, ridiculous law regarding wine shipping went into effect. Over all? Not a good week for wine. Illinois’ proposed new law is still waiting to come back out of the rules committee and to progress. If you are interested in working to opening the Illinois wine market to outside retailers, please come join us at the Illinois Wine Consumer Coaltion (www. 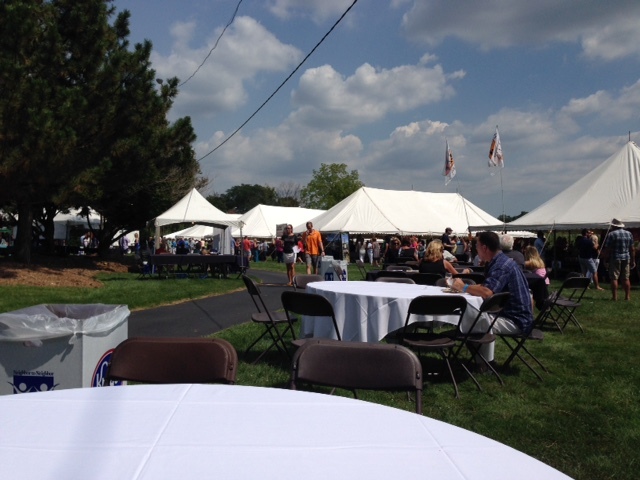 illinoiswineconsumers.org). Let’s make sure that consumers SOMEWHERE in the United States is free to buy the wine of their choice legally.